Billionaire businessman Lord Sugar has continued his feud with Jeremy Corbyn by apparently penning a poem about the Labour leader. The star of TV series The Apprentice posted a 24-line verse about Mr Corbyn on Twitter. 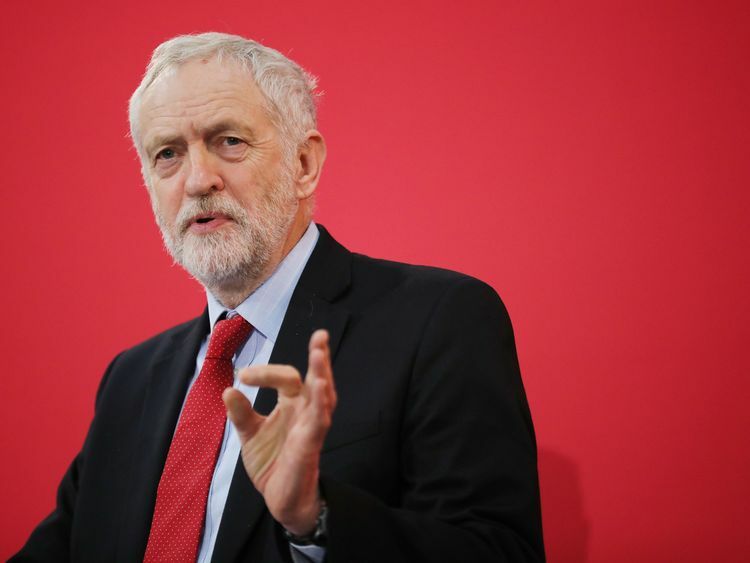 In the rhyme, the politician is criticised for Labour's anti-Semitism row, his dress sense, his views on the monarchy and his reported previous relationship with shadow home secretary Diane Abbott.The poem also mentions Mr Corbyn's support for his local football club Arsenal and brands him the "worst Labour leader since records began".Alongside his "ode" to the Labour leader, Lord Sugar wrote: "Will some of the Labour MPs and Lords grow a pair and get him OUT." Last week, the peer deleted a tweet showing Mr Corbyn in a car next to Adolf Hitler after the post sparked a row.Lord Sugar, who was born into a Jewish family, wrote alongside the image: "Many a true word spoken in jest Corbyn. "The picture also added the caption: "When you're pictured at Nuremberg and claim you thought you were going to a car rally. "After Labour shadow chancellor John McDonnell led calls for him to delete the tweet, Lord Sugar apologised for sharing the image.In response to Mr McDonnell, he added: "First let me say I am not the originator, it has been doing the rounds. "You need to get Corbyn to make a firm statement about anti-Semitism. There is no smoke without fire in Labour." He often says "I'm not a Jew-hating man"